May 27, 2015. School segregation stands as a stark expression of historic and current injustice against the Roma in Europe. In spite of legal and policy measures that now exist, the practice has neither stopped nor significantly diminished, as emphasized by Harvard FXB and DARE-Net in the Strategies and Tactics to Combat Segregation of Roma Children in Schools report. The resistance to desegregation by some policymakers and uninformed members of the public has impeded inclusive education. Therefore, in dealing with institutions’ tactical adaptation, NGOs have had to employ and revisit frequently their tactical innovations (to use Doug McAdams’s language on protests). Similar to other social movements, such as the Civil Rights Movement in the US, the Roma Rights movement’s response to segregation has involved strategic litigation, community empowerment, or intercultural education. NGOs also use advocacy techniques to advance desegregation. Thus far, however, in contrast to the Civil Rights Movement, protest tactics have been employed only minimally. 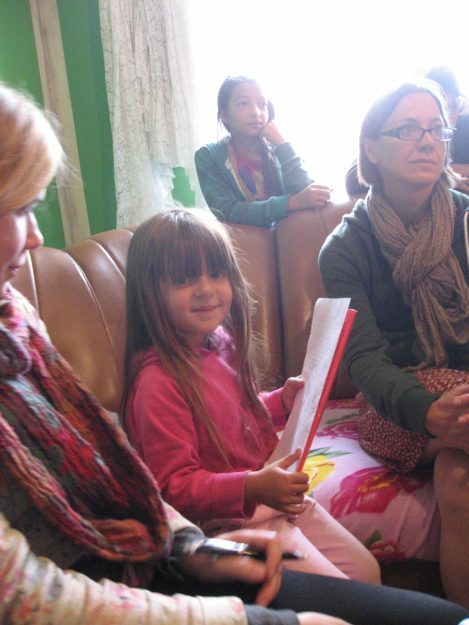 Strengthening the capacity of Roma at the community level was a valuable tactic NGOs used. In the Czech Republic, Life Together worked with the Roma community of Ostrava and offered professional counseling, financial counseling, legal counseling, and community organizing. As a result, in 2014, out of the 45 families involved, 38 of them succeeded to enroll their children in non-segregated schools. In Romania, Romani CRISS established a network of Roma rights monitors, which has greatly contributed to the documentation of segregation and to the adoption of a governmental Desegregation Order. A successful technique used by Roma NGOs is strategic litigation. Four European Court for Human Rights (ECtHR) judgments, which have been included in the DARE-Net/Harvard report, contributed to changes in legislation and policies. For example, Orsus and Others vs. Croatia led to free access of Romani children to preschool facilities. While the ECtHR judgements have made a positive impact on policy documents and discourse, they have not succeeded in impacting practices. Even more, as class action suits are not possible in European courts, remedies on a larger scale were not possible, as the NGOs lacked the resources to file and assist a mass number of claims. The political opportunities created by the EU membership were intensively exploited by the NGOs. The EU pre-accession period was the most prolific for advocating and creating legal and policy desegregation frameworks. However, partial NGO readiness contributed to the minor desegregation outcomes in communities. The Roma movement has not been yet ready to mobilize masses around desegregation, and to involve communities, or to use protest, as a strategic pressure tactic. The way government institutions used their political opportunities, such as the EU, to adopt and then abandon policies and legislation had a negative impact on desegregation practices. Governments conformed and complied with the human rights frameworks: all EU countries aligned their anti-discrimination legislation with the EU Race Equality Directive. However, in practice, local and central institutions developed adaptation tactics not to obey to the commitments. Their tactics included the use of minority language framework and residential segregation to reject Romani child enrollment. In response to blunt non-compliance of anti-discrimination regulations, the European Commission has started infringement proceedings against the Czech Republic and Slovakia. Several court decisions concluded that Romani children were misdiagnosed and placed into special schools. Institutions used excuses such as limited knowledge of the official language, or poor attainment, to enroll Romani children into the special system, which should be dismantled regardless, so that all children can access mainstream education. In addition, segregation in special schools, in particular, has been driven by financial school incentives. Parents have used various tactics, as well. Non-Roma parents have widely contributed to white flight and pressuring schools to form Roma-only classes. In addition, often as a tactic of defense against bullying and discrimination, or being pressured by schools, Roma parents have consented to place their children in segregated or special school institutions. There is still a long way to go until schools adhere to the national anti-discrimination laws and governments adhere to the international frameworks to which they legally assented. Nevertheless, the European Commission could better use tools such as conditioned EU funding and infringement proceedings in negotiations with governments. To ensure governments’ compliance with EU regulations, the Commission should not only generate new monitoring and sanctioning mechanisms, but should also consider imposing sanctions and suspend funding. Much is still to be done to achieve community mobilization and parents empowerment as well as diversification and planning of NGOs tactical innovations against segregation. A step further for NGOs would be to look more closely into collective remedies for victims of segregation. Another important step would be for Roma and disability movements to join forces and come up with tactical innovations to achieve inclusive education for all children. Margareta Matache is a noted Roma rights activist from Romania and an instructor at Harvard T.H. Chan School of Public Health, based at Harvard FXB. Arlan Fuller is executive director at Harvard FXB. This blog originally appeared on Euractive.com, at http://www.euractiv.com/sections/justice-home-affairs/fighting-school-segregation-europe-314798.